With the 2017 state budget dance approaching, the Texas prison system is following instructions to cut 4 percent from its spending. Will that mean closing prisons and releasing more nonviolent inmates? The agency won't say what potential savings — including closing prisons or figuring out how to release more nonviolent inmates — might be in the mix, but its request will launch the biennial dance with lawmakers over funding for the nation's largest prison system. In late June, Gov. Greg Abbott, Lt. Gov. Dan Patrick and House Speaker Joe Straus instructed most state agencies to submit budget plans reflecting the 4 percent reduction target, setting that as the "starting point" for 2017 budget negotiations. With a more than $3 billion annual operating budget, about 40,000 employees and close to 150,000 inmates, TDCJ could chase that goal by closing prisons, reducing the inmate population and changing how Texas uses its state jail system, policymakers and analysts say. In 2013, the agency shut down two privately run state jails after the Legislature cut almost $100 million from its budget. More closures may be in the offing, said Scott Henson, author of the criminal justice blog Grits for Breakfast. 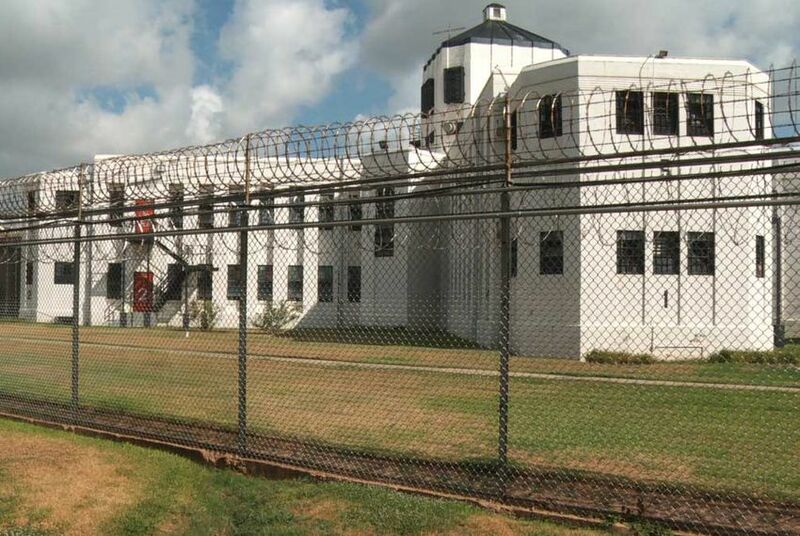 Dawson State Jail, one of the two former TDCJ facilities, closed down to the Dallas community's delight because it was by the Trinity River where major development efforts were in the works. City officials welcomed the opening up of the land. "If we were to assume that that would probably be the driving interest that the Legislature cares about most going forward, that leads you to look at a little cluster of prisons outside of Richmond, also in Fort Bend" near where high-dollar homes sit, Henson said. "[That] sounds more possible because there's so much more economic incentive." What could work in Fort Bend County, though, might not in other places, Henson said. "The reason they don't want to close prisons is 'cause it's jobs," he said. "You go into Palestine, Texas, and say you're going to close prisons. Well, that's a significant part of the labor force. But Fort Bend County's growth has nothing to do with the prison industry, and in fact, there are higher, better uses for that property." Outdated and dilapidated units might also be prime for closure, Henson said, such as the Pack Unit near Navasota where inmates have sued TDCJ over high arsenic levels in the drinking water. Money might also be saved by cutting down inmate populations in the state jail system, which is separate from the prison system but run by TDCJ, said Michele Deitch, a senior lecturer at the LBJ School of Public Affairs at the University of Texas at Austin. The 19 state jails hold low-level offenders for no longer than two years and was designed as a backup for people under community supervision. "It's moved so far from its original conception that it's unrecognizable," said Deitch, who was part of the office that designed the system in the early 1990s. "It has not been a success at all. It has the largest recidivism rate of any part of the criminal justice system, within any part of TDCJ, and the inmates are not getting the kinds of programs and services they need. They get no supervision or services when they get out, and so reentry is very problematic. And there's a lot of people who are locked up in state jails that really don't need to be there." On the front end, the Legislature and local communities could whittle the inmate population with drug sentencing reforms and by using treatment and other diversion techniques as alternatives to locking up offenders for nonviolent crimes, policy analysts said. Diversion could save the agency and taxpayers hundreds of millions of dollars, said Marc Levin, director of the Center for Effective Justice at the Texas Public Policy Foundation. A prisoner who costs the state $53 a day could cost $3 a day as a parolee or less than $2 a day as a probationer because they pay fees out of their own pockets, Levin said. Utah and Alaska recently enacted laws reducing drug possession offense classifications from felonies to misdemeanors, he said. Texas could also lock up fewer people for violating conditions of their probation and supervised release, Levin said. An emphasis on treatment, especially within an offender's community, makes a positive difference, Levin said. "What we really want to avoid is to make sure budget cuts don't come from probation, diversion programs, parole," he said. State Sen. John Whitmire, a Houston Democrat and the Senate's most powerful voice on criminal justice issues, said he will try to spare the prison system from budget cuts next session. "TDCJ's greatest expense is personnel. You have to secure the prison. So you sure as hell can't cut that," Whitmire said. "Rehabilitation – drug, alcohol, is too critical a service to cut, because it's actually what reduces recidivism and allows us to save money from having to build more prisons and also increases public safety because you have a better person released than the one that you received. Mental health services – we all know what a priority that is." Most state services are underfunded, and it shouldn't be that way in Texas, Whitmire said. "We do not live in a broke state," he said. "We live in a state led by those who want 'less government,' which I guess means we cut the budget. But it's early in the process." Disclosure: The Texas Public Policy Foundation and the University of Texas at Austin have been financial supporters of The Texas Tribune. A complete list of Tribune donors and sponsors can be viewed here.